Brett Haley’s Hearts Beat Loud is a warm hug with a great soundtrack that comes at just the right time this year. 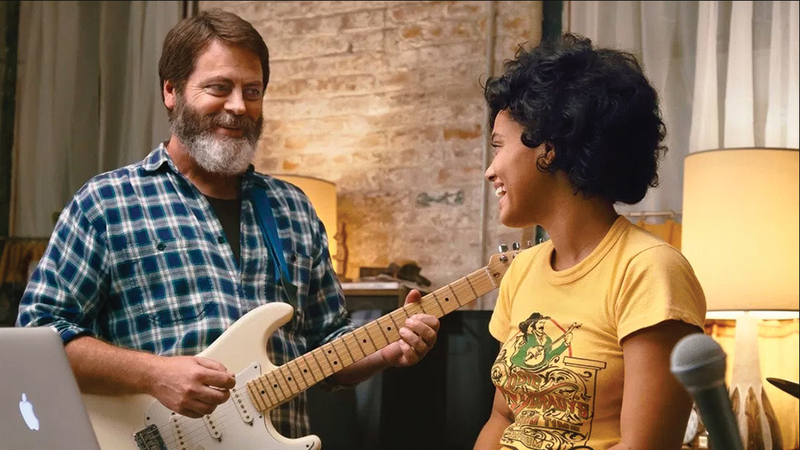 It stars Nick Offerman as Frank Fisher, a widowed record store owner who jams out in the studio with his med-student daughter, Sam (Kiersey Clemons). The two are an interesting pair that share great chemistry. 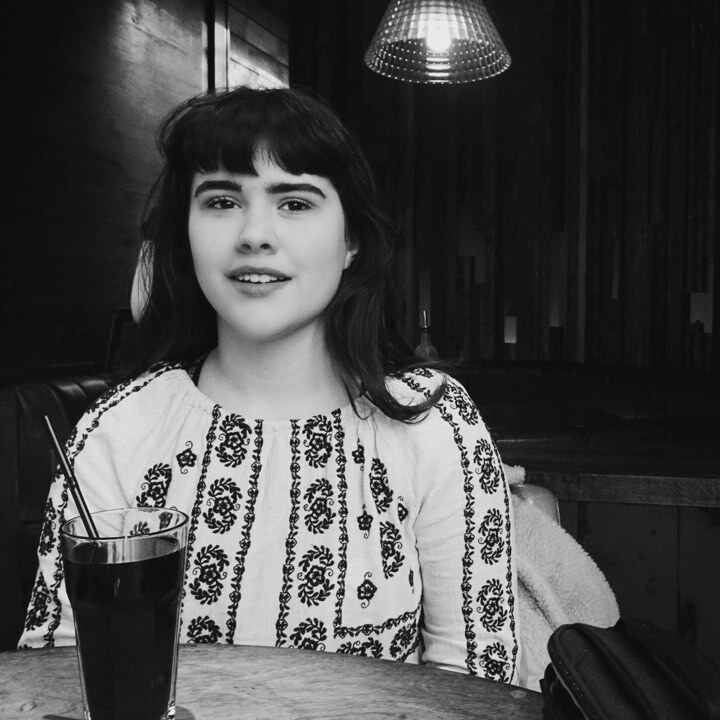 Sam is dedicated to her studies, whereas Frank wants to goof off and spend credit card money on new guitars and sound desks – all while the shop is about to close due to rising rent. Frank eventually convinces Sam to work on some more songs with him, after he goes behind her back to put one of their ‘jam seshes’ on Spotify and it begins to get some recognition. The two of them know there’s no saving the store, with Sam moving away to UCLA for med school, money’s going to be tight and Frank can’t hold the fort alone. But for now, this musical connection they share is something to be cherished. When they play together the smiles on their faces speak volumes. It’s a joy to watch a father and his daughter connect through music – and a gentle reminder of its power. However, the music also plays an important role in Frank’s journey to let go. He clings desperately to his dream of starting a band and playing music with Sam again since the death of his wife – but Sam has dreams of her own and he has to let her pursue them. The supporting cast provide some laughs and rather disjointed sub-plots. A botched romance with his landlady (Toni Collette) shows that Frank is eager to have relationships with people outside his cave of records and guitars – he knows that when Sam is gone, life will go on. Hearts Beat Loud has little to no dramatic tension; it seems to prioritise the music over the plot. This isn’t completely to its detriment; the original songs the duo perform are upbeat and interesting, showing off the unique voice of Clemons and prowess on the guitar from Offerman. However, the minor conflicts come too soon in the narrative, and some scenes feel simply drawn out. It’s perfectly heart-warming and perfectly cast, but ultimately forgettable.